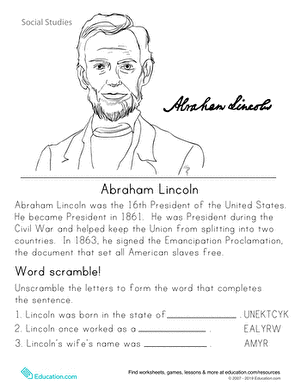 Help your child brush up on her historical knowledge with these word-scramble worksheets on famous people in history. Here is Susan B. Anthony, one of the first women to rock the vote, at a time when it was illegal to do so! Anthony never stopped working for equality, speaking out against slavery and for the rights of the poor and working-class.